Spring has settled in and the village farmers are out working the fields in force. 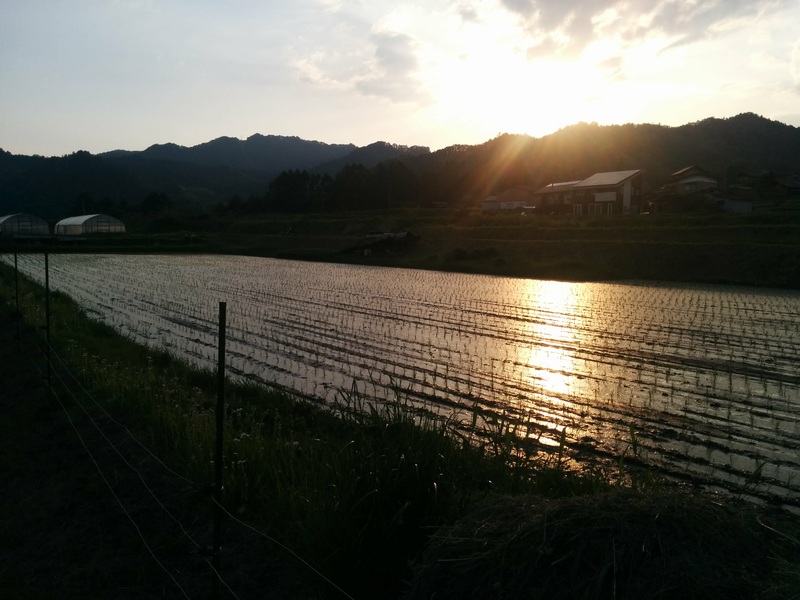 The rice has been planted, as well as all the early crops like peas and a huge array of greens. Though not much is ready to harvest yet, this hasn’t stopped the village market from starting back up. 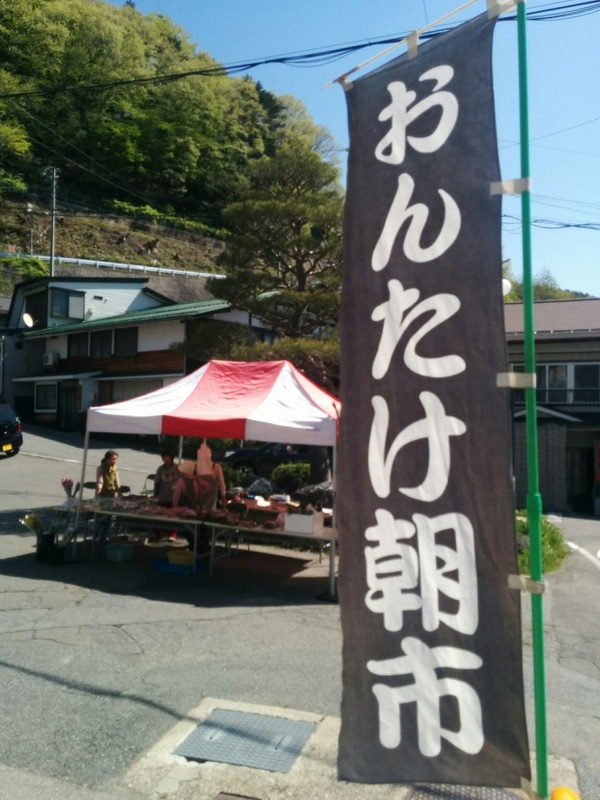 Ontake Asa-ichi、the “Ontake Morning Market” runs from early May through mid-November and features the village’s seasonal produce. 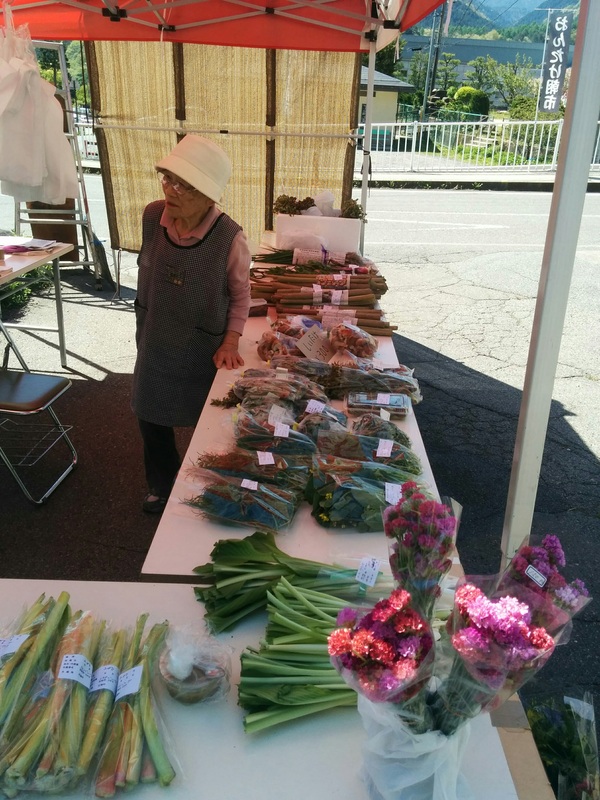 In lieu of the standard “supermarket” vegetables, in early May the market is packed with sansai, wild vegetables that find their way into a variety of dishes, most notably tempura (available seasonally from the Otaki Eatery across the street from the market). Vegetables available include udo (mountain asparagus), tara-no-me (angelica buds), warabi (bracken), kogomi (fiddleheads), oka-hijiki (hill seaweed), sansho-no-me (Japanese pepper buds), and a whole lot more. Interacting with the perpetually energized crew of villagers who run the market is an experience in itself. 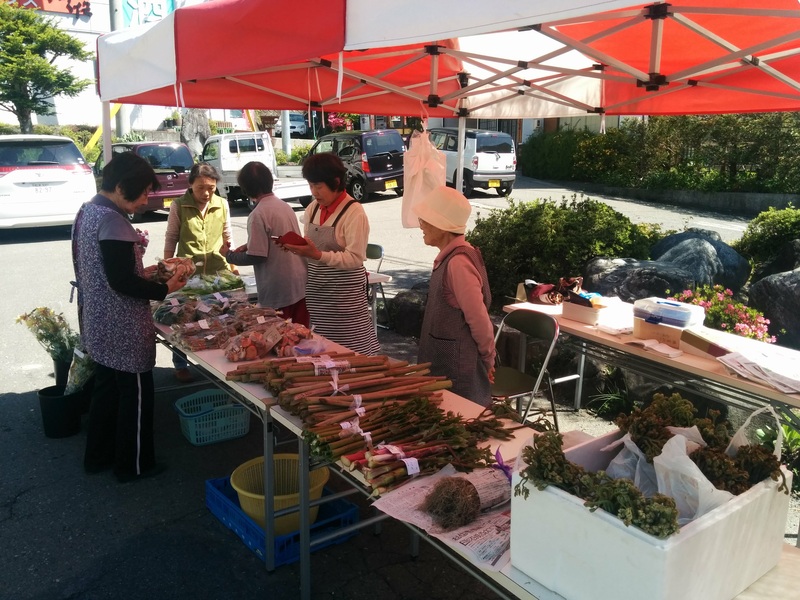 Though small, Otaki’s morning market is an authentic slice of Japanese village life. If your stay coincides, drop on by. They’ll be glad to see you!